The Rossies are back on home soil in Dr Hyde Park on Sunday. DONEGAL BOSS RORY Gallagher has recalled Neil McGee to his starting line-up for Sunday’s Allianz League trip to Roscommon. McGee felt unwell on the morning of Donegal’s league opener against Kerry and did not feature, but he has recovered to start at full-back against the Rossies. In the only other change to his team, Gallagher will give a first league start to Conor Gibbons. The St Eunan’s forward made his first appearance for his county in last week’s three-point defeat to Kerry. After an opening league loss to Tyrone, Roscommon made three changes for Sunday’s tie as they seek to pick up their first points of this campaign. John McManus comes into the team at wing-back, Shane Killoran will make his first league start at wing-forward while Fintan Cregg – who chipped in with 0-3 against Tyrone – gets the nod to start at full-forward. Defender David Murray and forward Ultan Harney are ruled out through injury while Niall Daly drops to the bench. Throw-in at Dr Hyde Park on Sunday afternoon is 2.30pm. 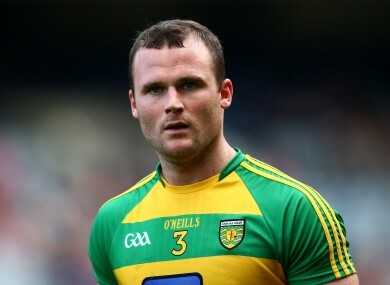 Email “Neil McGee returns from illness as Donegal hand out one starting debut for Roscommon clash”. Feedback on “Neil McGee returns from illness as Donegal hand out one starting debut for Roscommon clash”.